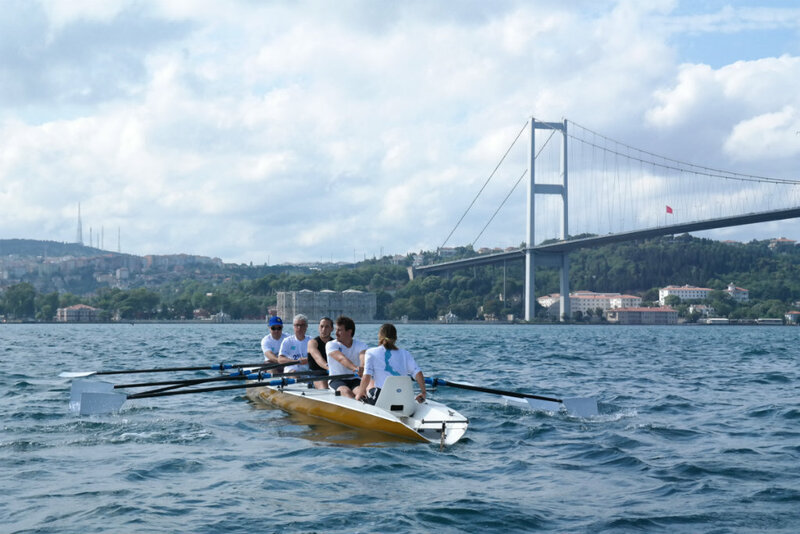 The National Olympic Committee of Turkey’s traditional Bosphorus Intercontinental Races now have a quarter-century of history behind them. 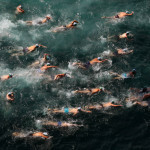 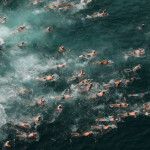 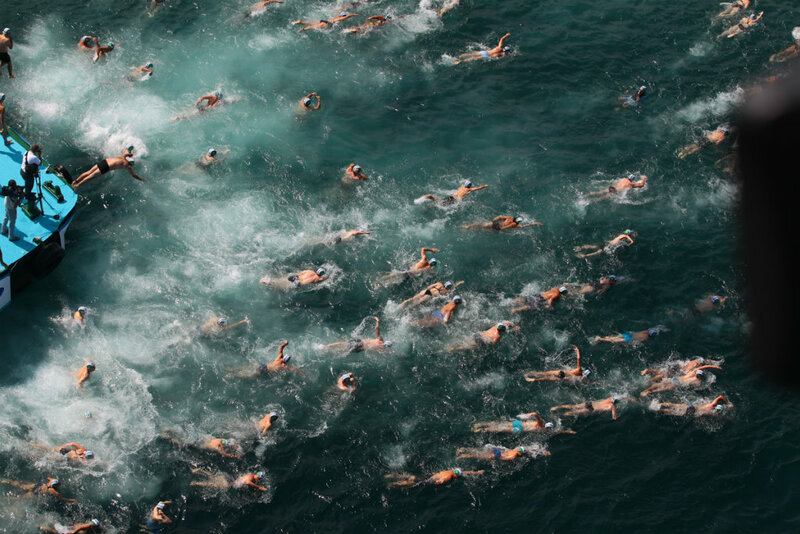 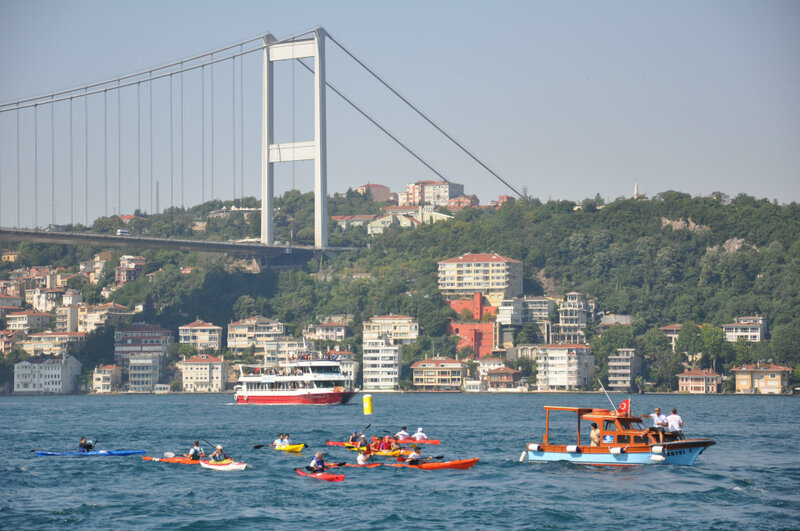 This year’s races - promoted under the slogan “2 continents, 1 race” - had 1,426 competitors from 47 countries take part in its swim, skull and canoe competitions, a new record. 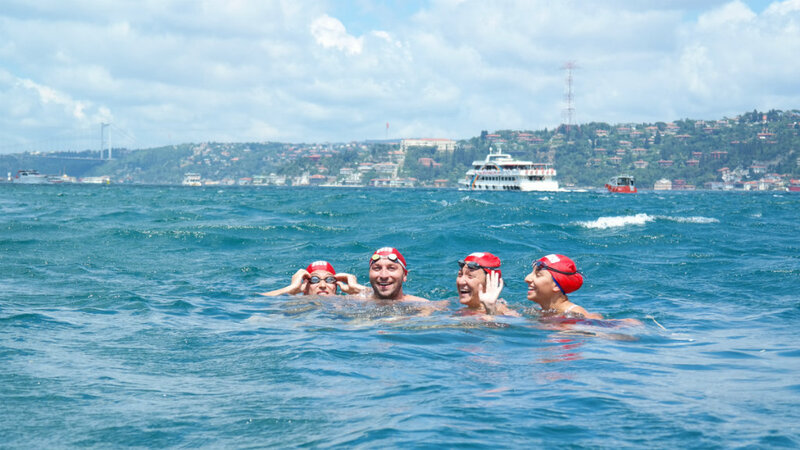 For 26 years, thousands of athletes from around the world and Turkey have been getting together in Istanbul for friendship, to compete, to challenge and discover their limits. 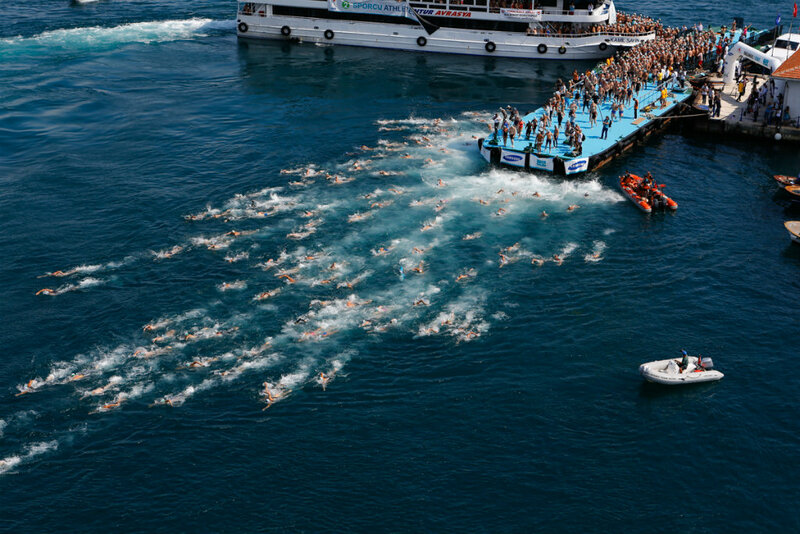 The pleasure of making swimming or rowing from Asia to Europe, to experience the exquisite beauties of the Bosphorusl and witnessing the passion of the fans all combine to create this unique event. 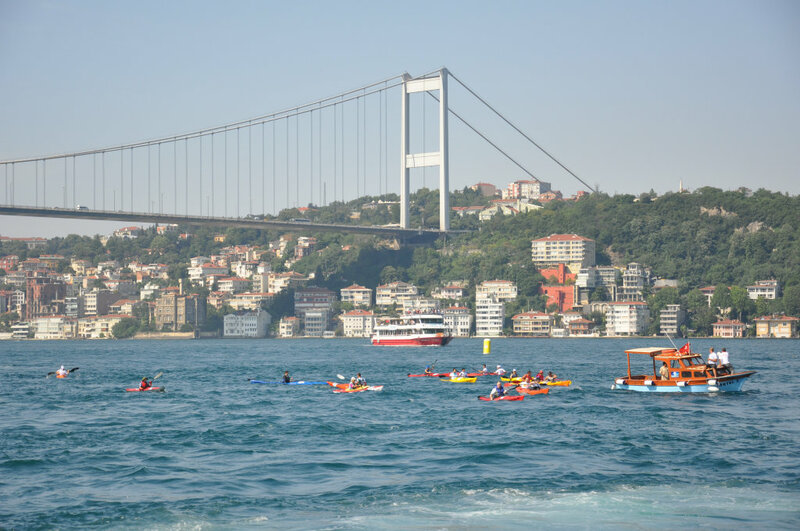 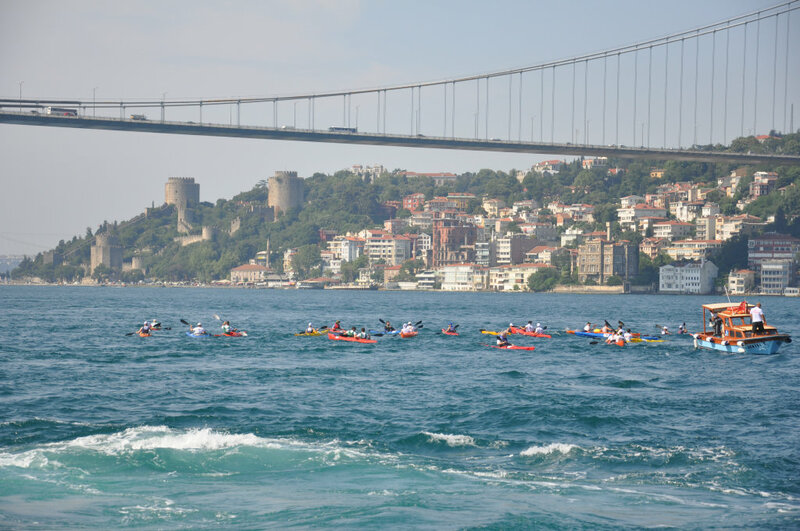 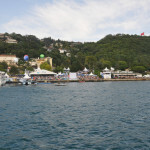 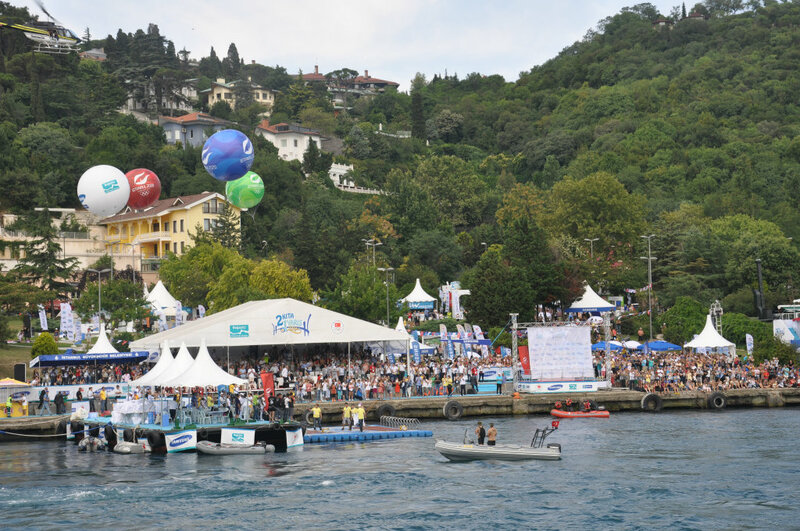 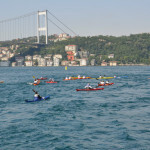 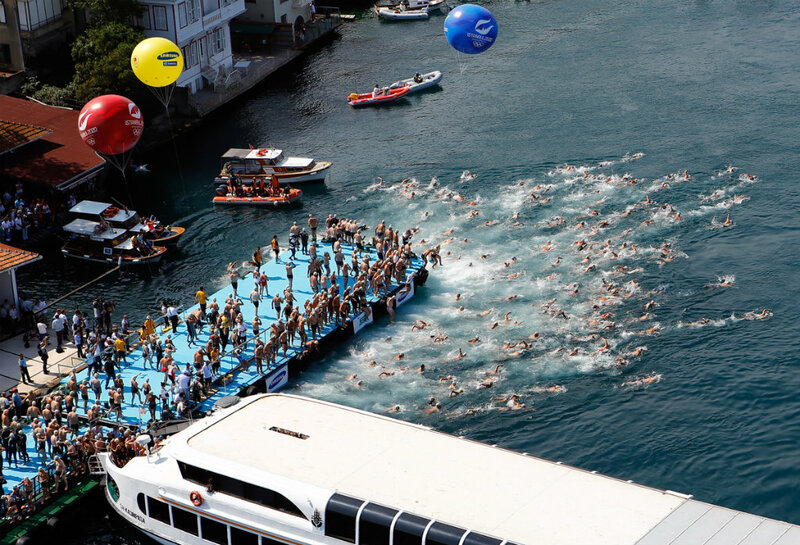 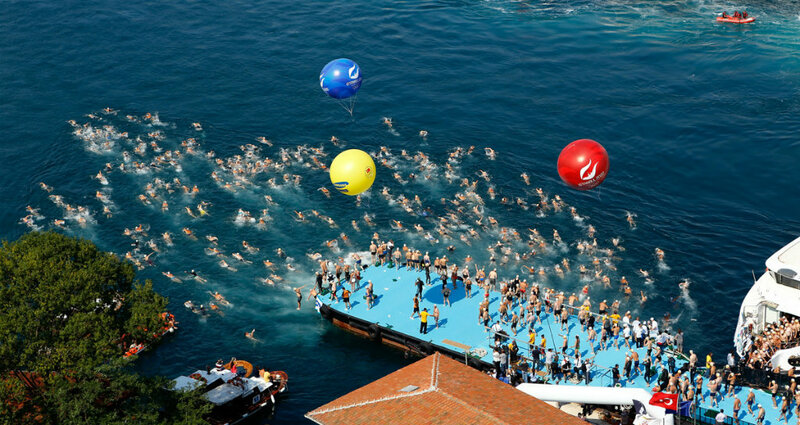 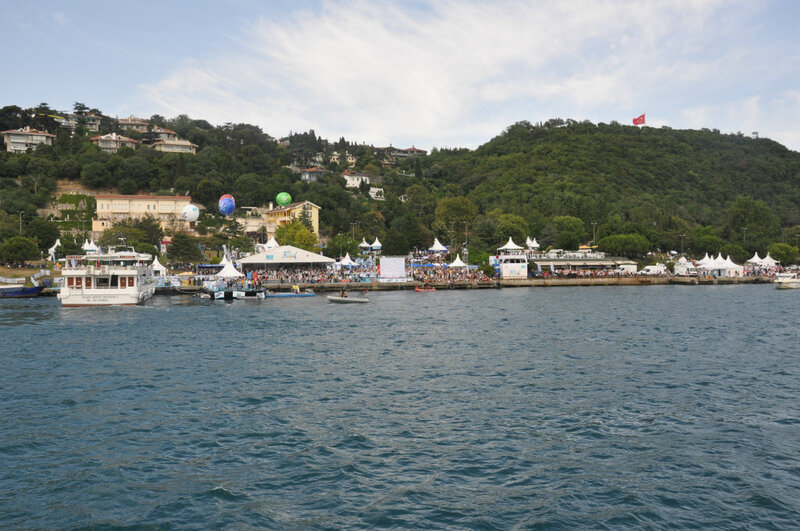 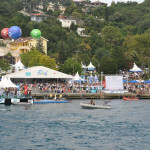 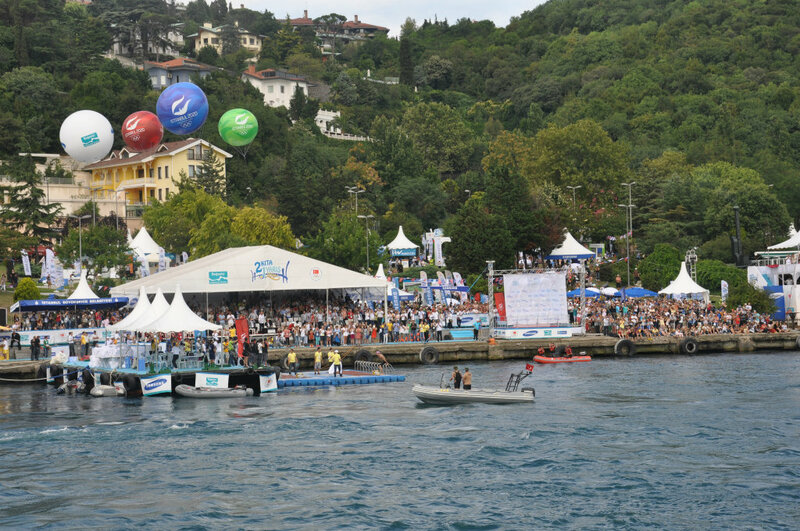 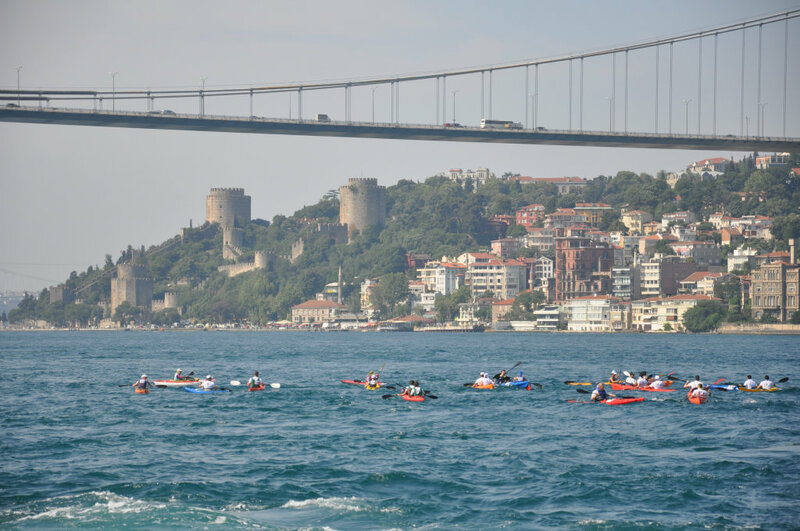 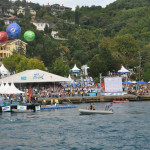 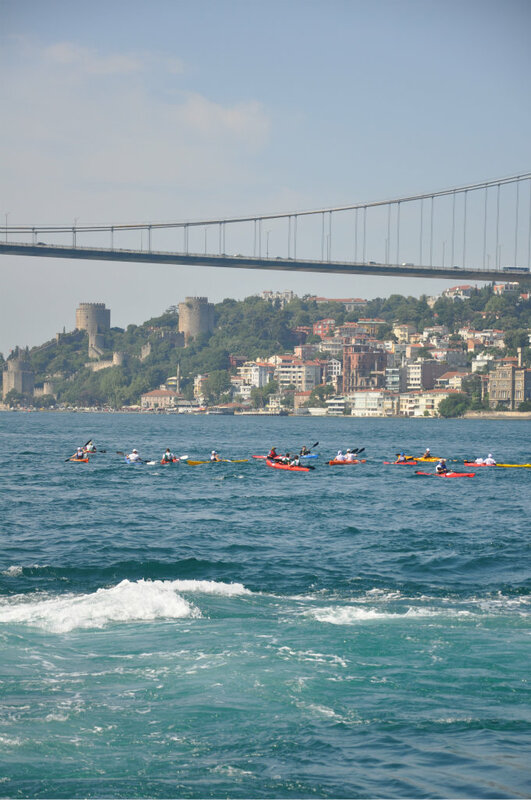 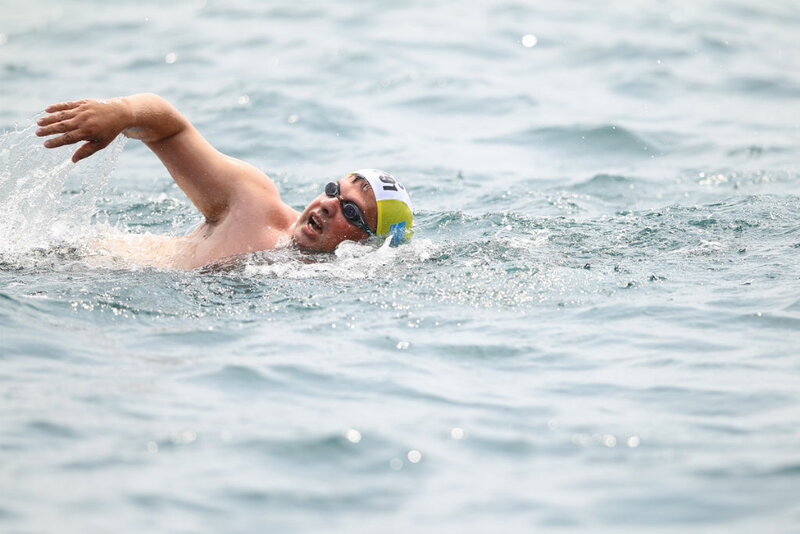 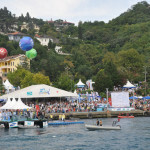 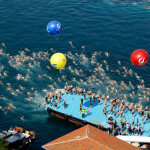 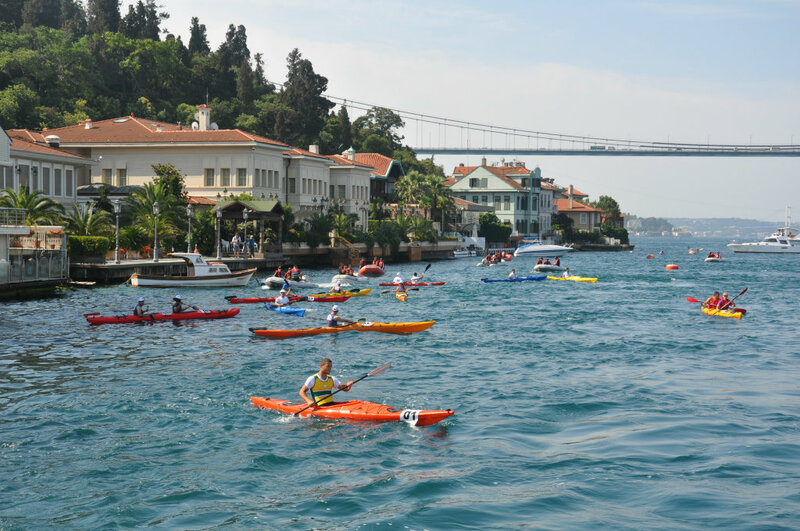 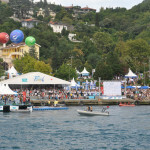 Samsung Bosphorus Cross-continental Swimming Race is organized under the auspices of the International Olympic Committee under large social and corporate support. 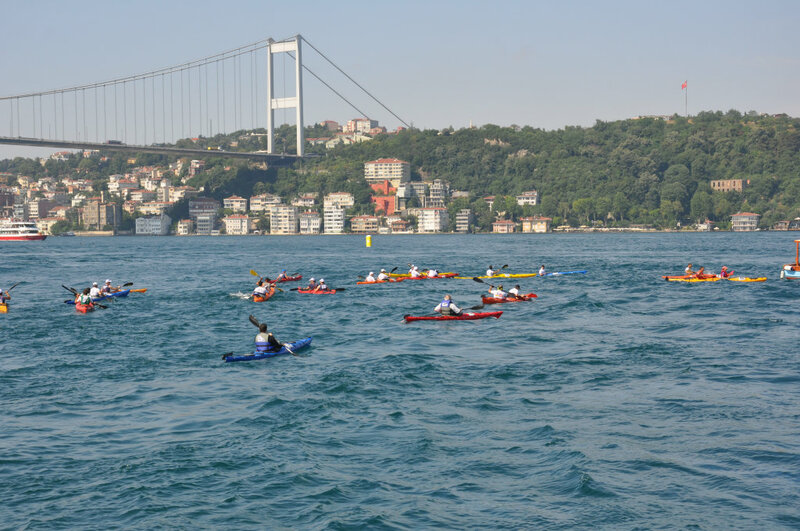 Thanks to the increasing interest year by year, this adventure which began with the participation of 4 female and 64 male athletes in 1989, has grown to become an important part of the Turkish sports tradition. 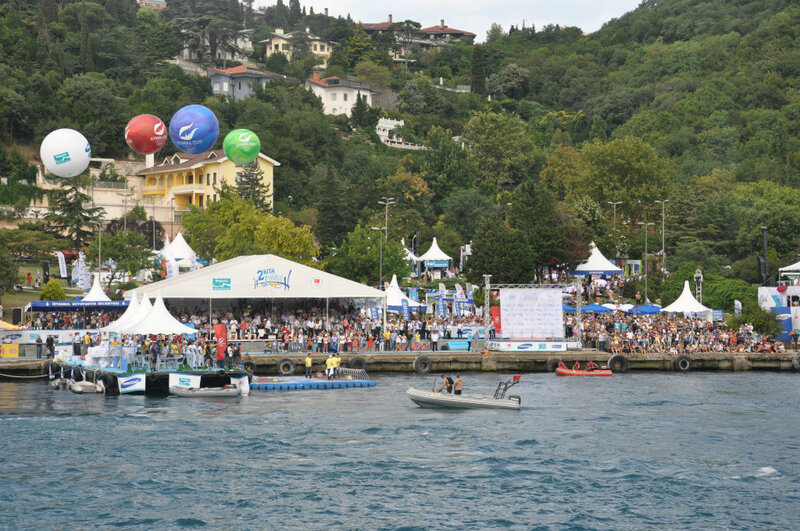 The races celebrated a number of events under theme “Sports for Everyone” as developed by the National Olympic Committee of Turkey. 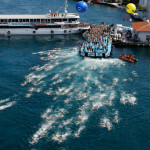 The theme celebrates among other things women’s participation in sports. 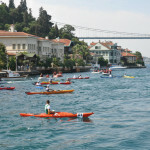 Four women first took part in the Bosphorus Intercontinental Races in 1989. 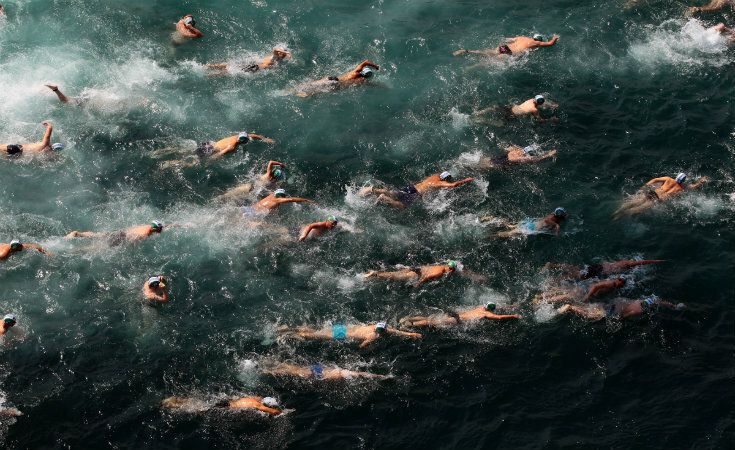 The safety of the competitors is the race’s most important rule. 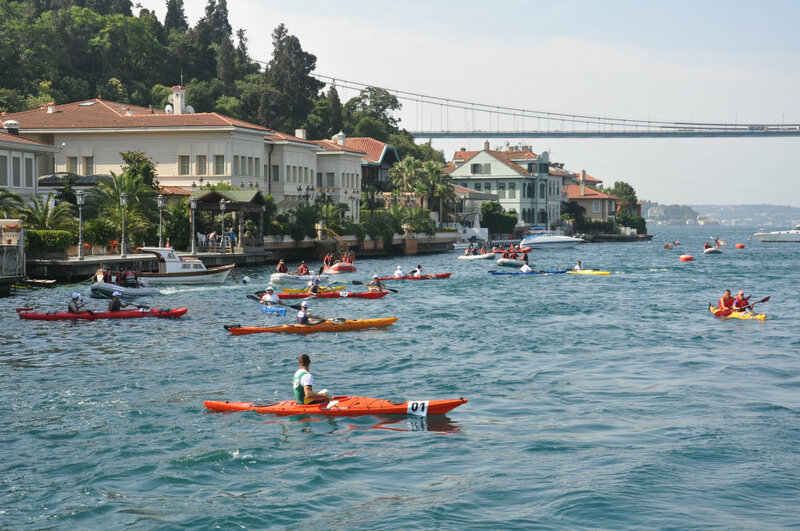 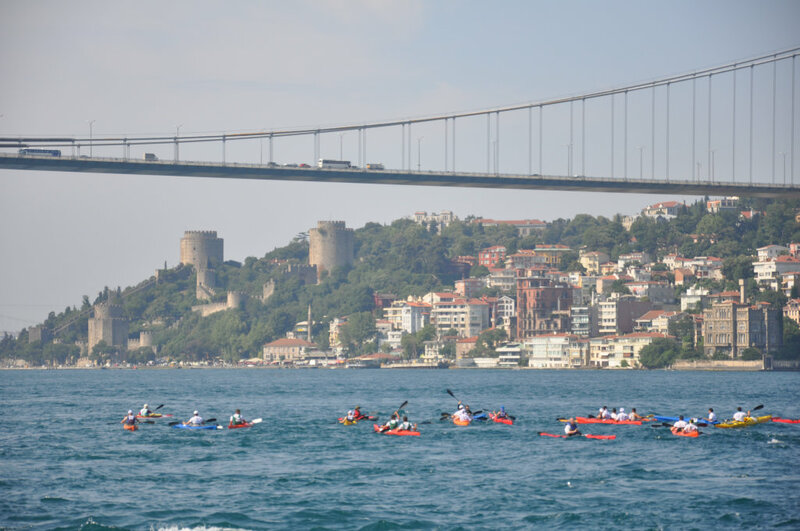 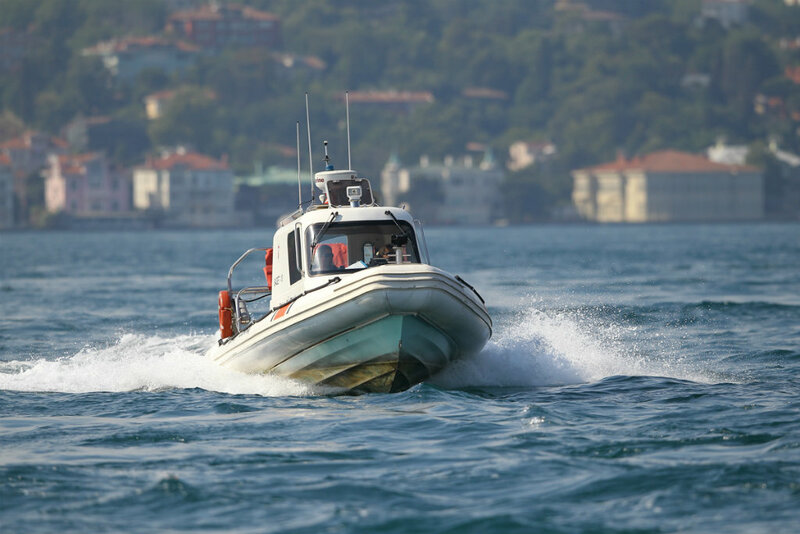 The Bosphorus is entirely closed to local and international maritime traffic during the race, which is scheduled months in advance. 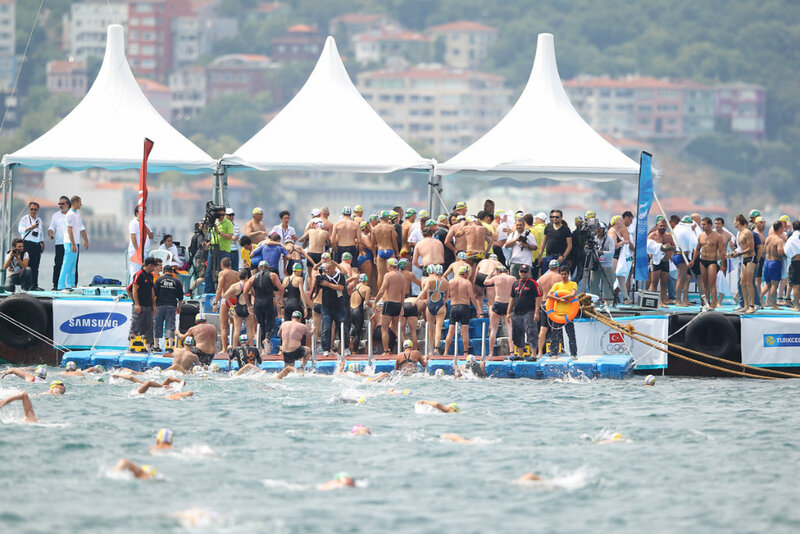 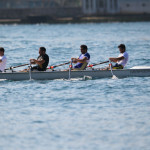 In order to ensure the safety of its competitors, the Bosphorus Commission of the National Olympic Committee of Turkey limits the number of competitors. 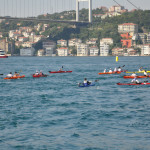 The number of competitors allowed is set at 1550 people and all spots were taken by registered competitors. 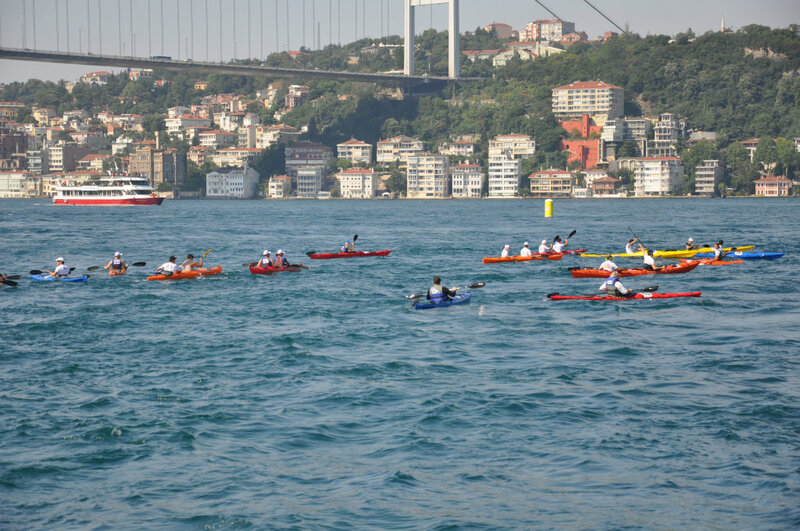 Of these, 1426 took part in the race. 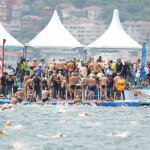 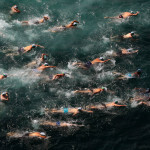 The names of those who will race are decided by selection in Istanbul, Ankara, Adana and Izmir. 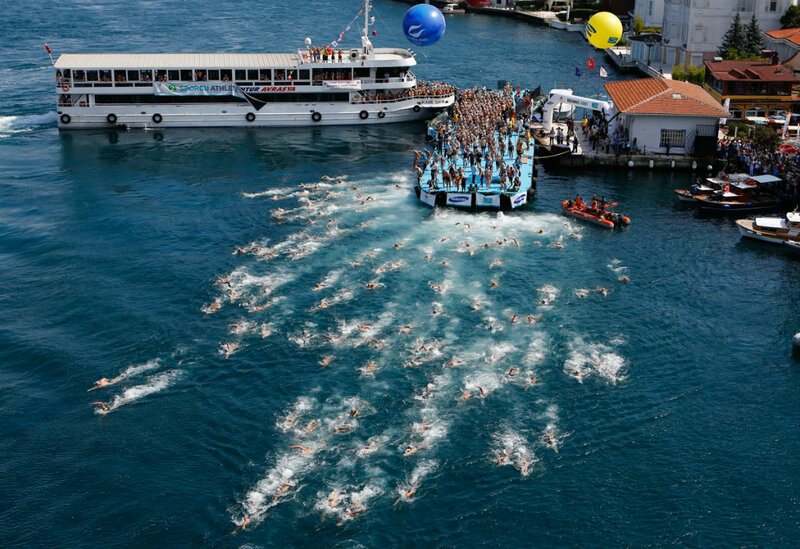 In addition to normal swimming safety rules, the difficulty of the course at around 6.5 kilometers calls for additional safety rules and protocols. 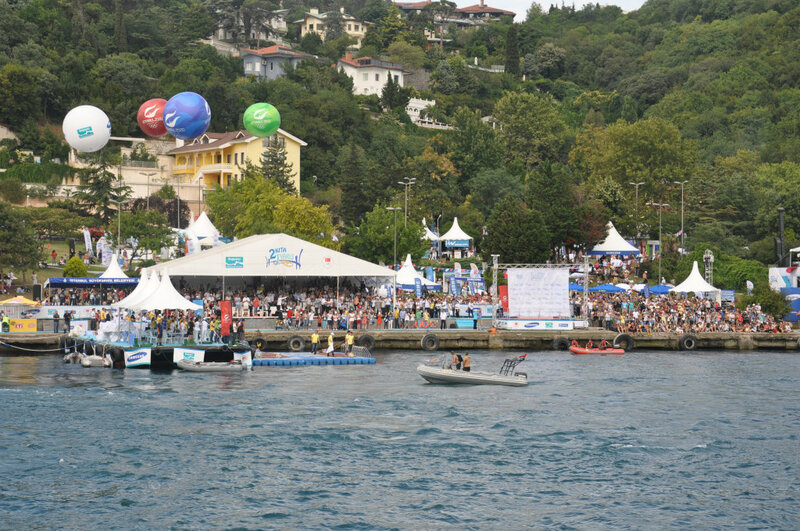 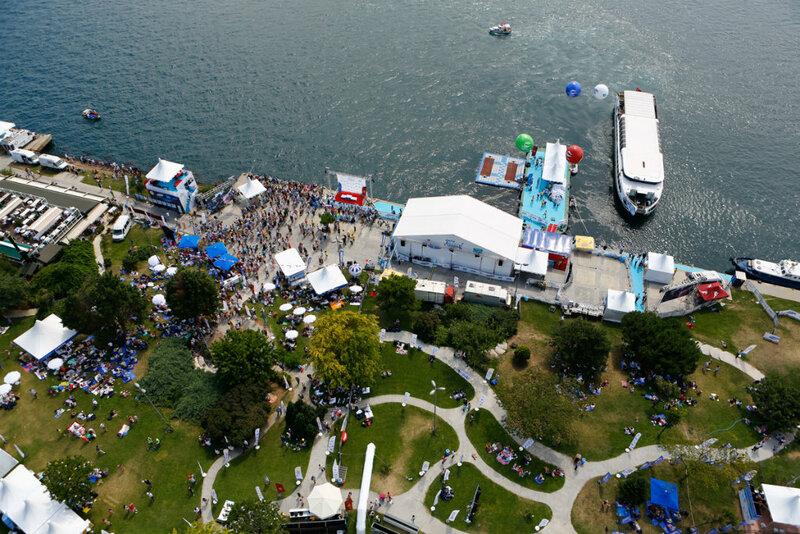 These rules and protocols are explained to the competitors in information meetings before the race and boats accompany the swimmers along the course. 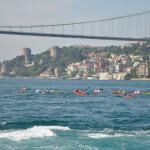 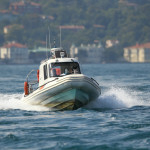 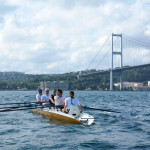 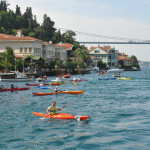 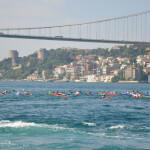 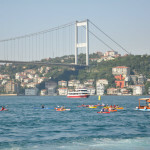 A photography competition is organized in conjunction with the Bosphorus Intercontinental Races.